So here we go, hopefully you have your supplies (at least the weeks 2-5 supplies) – we start sewing today! 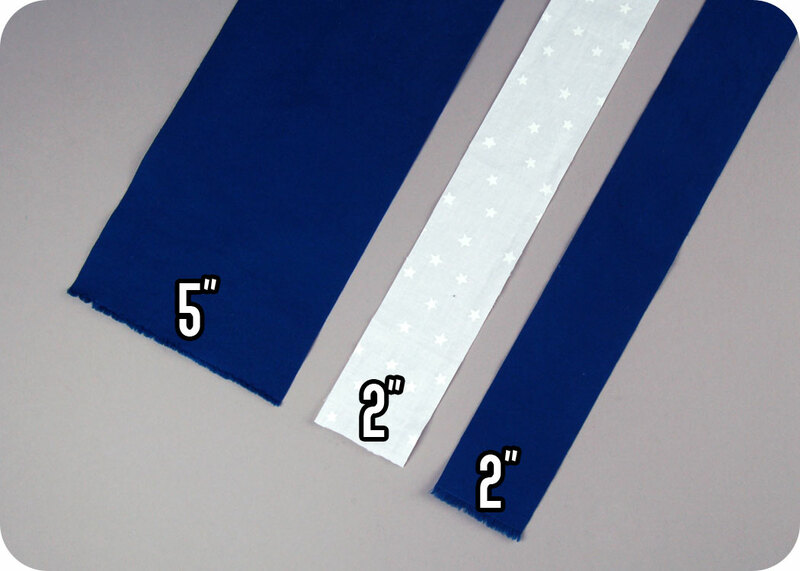 If you have the fabric for it, go ahead and cut long strips of each size, as we’ll be using these again in the following weeks to make more stars and sky. So you can either cut the squares as you need them and go along with the chart so nothing gets mixed up, or cut them all ahead of time and arrange them accordingly. Either way, save your leftover strips in bags or something similar if you like to keep yourself organized and have the stuff ready for next week! All the different numbers and letters are assigned to make the assembly straightforward. 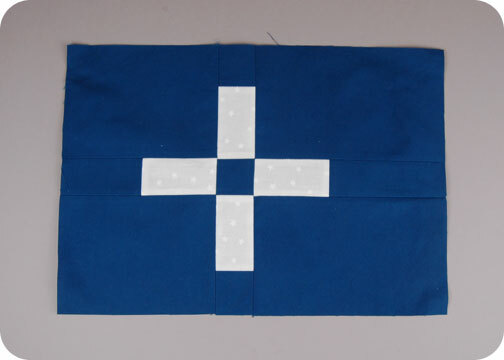 Simply sew the numbers together in numerical order until they form one group of that letter, then sew the lettered groups together in alphabetical order. Remember that, like most quilt patterns, we’re using a 1/4” seam allowance. You can press the seam allowances however you like, but I prefer to press them open. 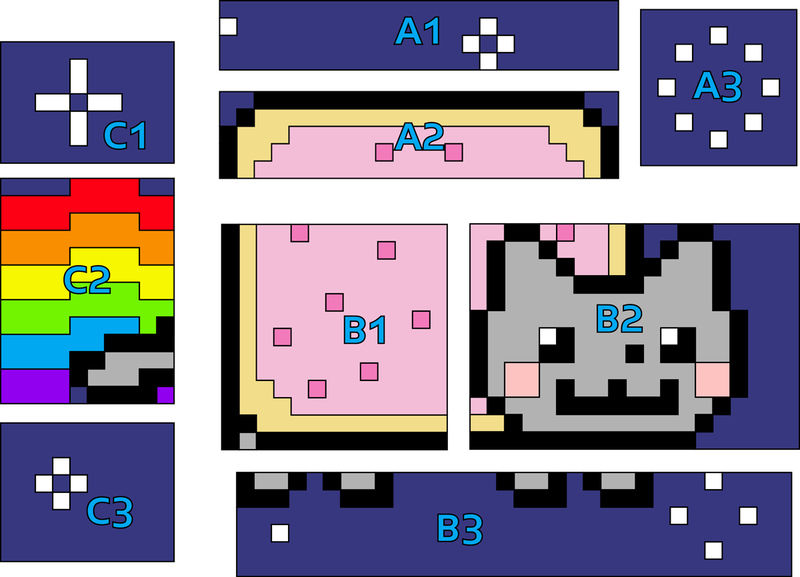 And your finished section should look like this! The block should measure 15 1/2″ wide and 11″ tall. And it’s that simple! Of course, each week the sections get slightly more complex and add more colors. But with any luck the number and letter technique makes assembly easy for you all! 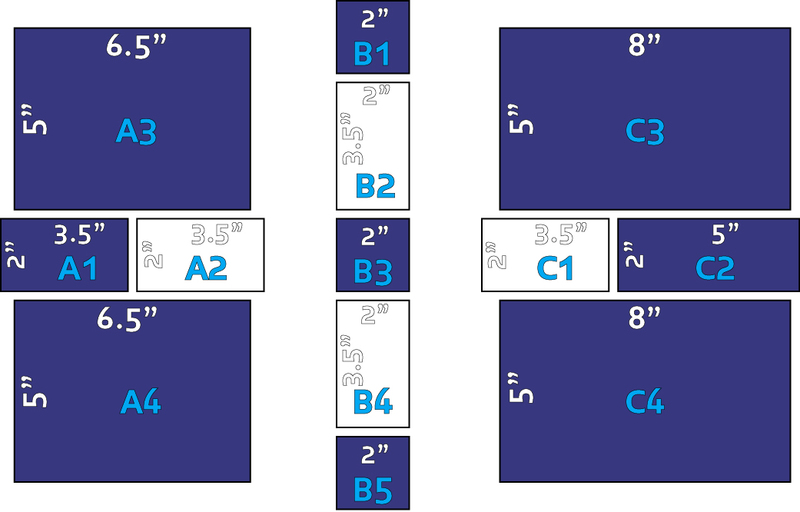 Stay tuned next week for our next star field: section A1! 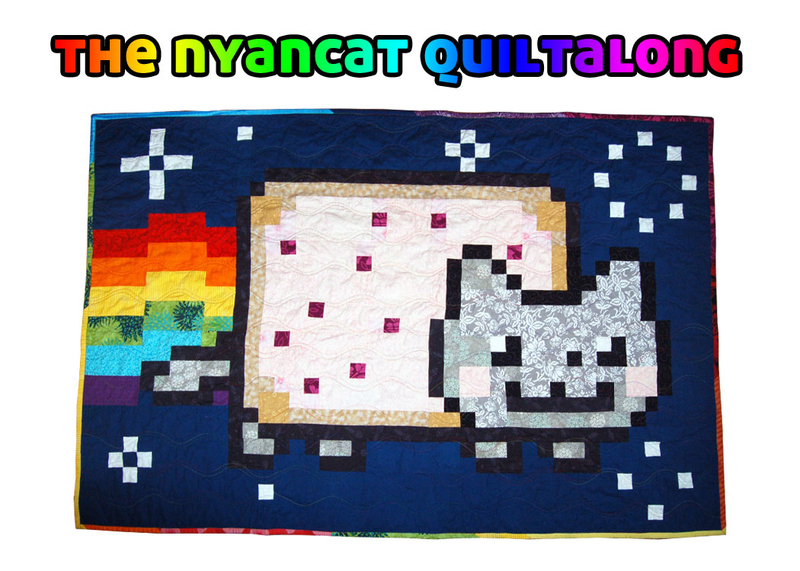 Categories: Free Projects, Nerdiness, Nyan Cat Quilt-along, Patchwork & Quilting | Tags: 8-bit, along, animal, cat, craft, cute, diy, download, free, how to, kawaii, kitty, nyan, nyancat, pattern, pixel, project, quilt, quiltalong, rainbow, sewing, square | Permalink.